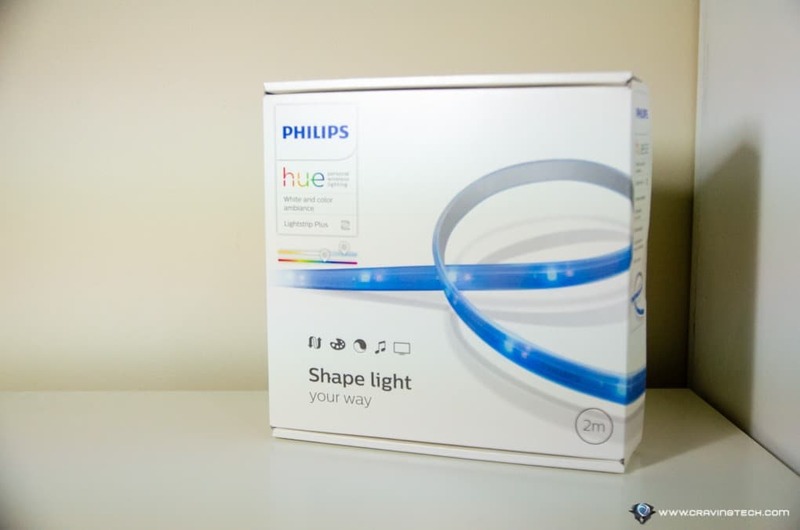 Philips Hue Sync Review – Smart light bulbs and lightstrips have been around for some time (check out our Philips Hue and Philips Hue 2.0 coverage) and they can enhance the mood in the room. Dimming the lights with a warm yellow colour can significantly boost the immersion while watching a movie but when the lights can actually synchronise with what you see on the screen, this experience will be taken to a whole new level. With the latest release of Philips Hue Sync from Signify (the new brand name for Philips Lighting), you can now set your Philips bulbs, lamps, and lightstrips to follow what’s happening on the screen and changes its colour & brightness dynamically. 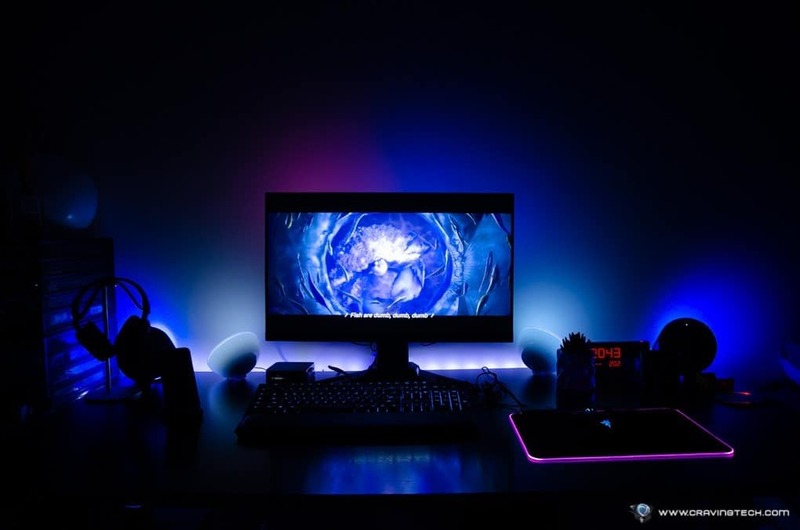 The best way to set this all up is with at least 2 Philips Hue Go on the left and right of your monitor/TV and a Philips Lightstrip (the original or the Plus) around the monitor/TV. I already use lightpack.tv so I place the Lightstrip around the edge of my desk. 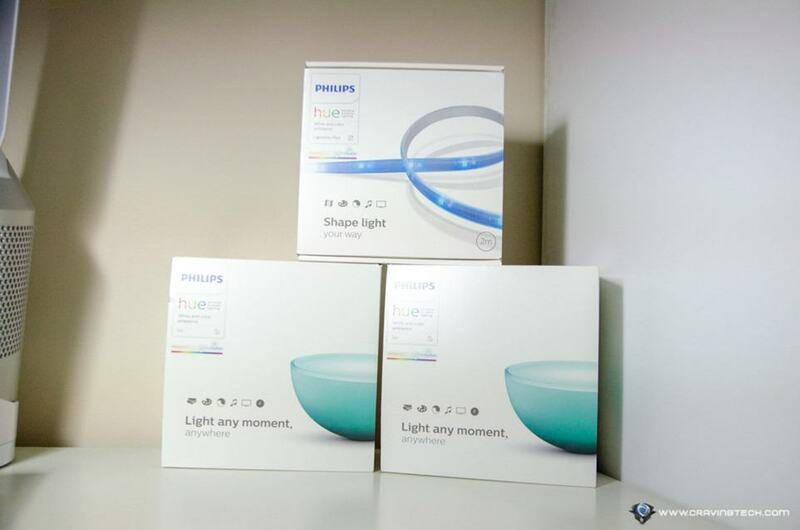 Philips Hue Sync is an app that you can install on your Windows PC or Mac and it will monitor what’s playing on screen and sync your lights with games, movies, and music playing. 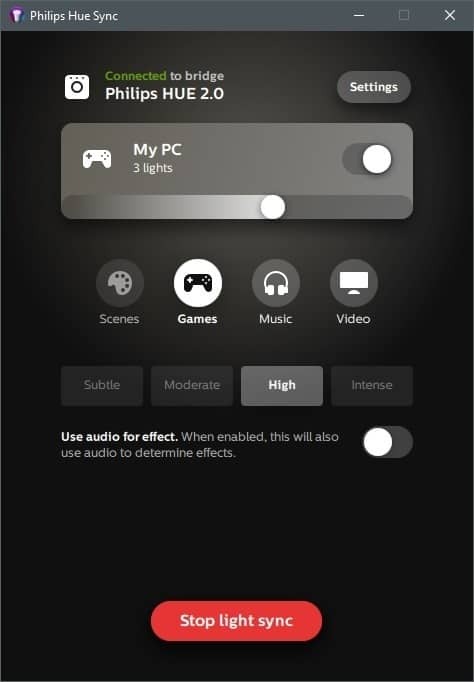 With the Hue Sync app, you can pick the type of activities the lights should sync to, along with the intensity levels. 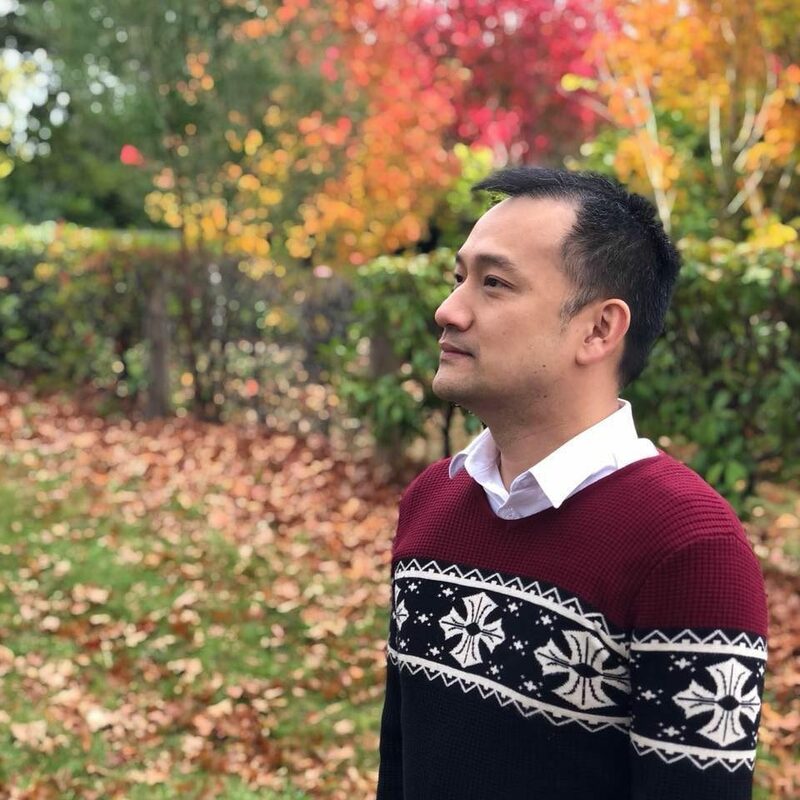 The more Intense setting makes the lights blink/change colours more frequently (which I’m not a fond of), so I leave it at High (or lower) and find it perfect. Hue Sync app uses around 2% CPU on the High Performance setting and I’ve never experienced any lag or a noticeable increase in the DPC latency. But you can tone it down in exchange of having a bit more delay with the continuous sync. 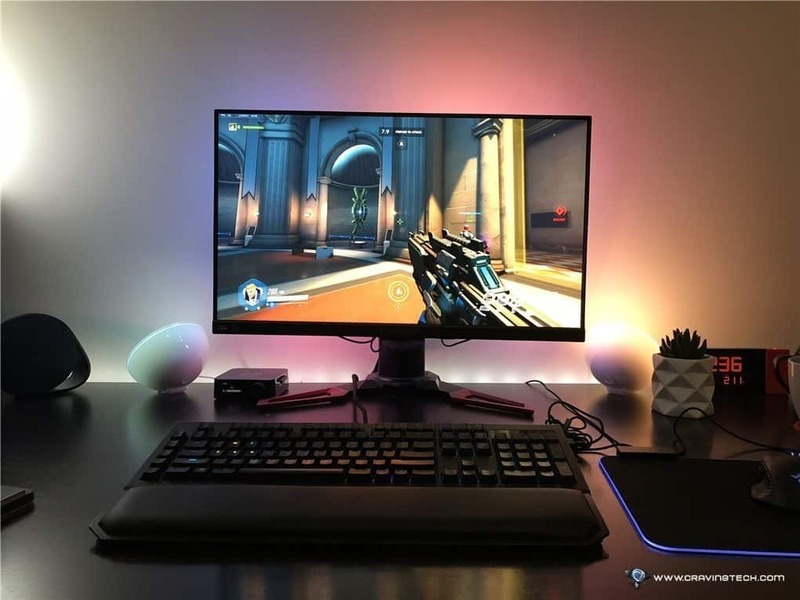 The Games and Movies settings have the same results for now, but looks like it’s an opportunity for game developers to hook into for the future, like the Razer Chroma integration with Hue. 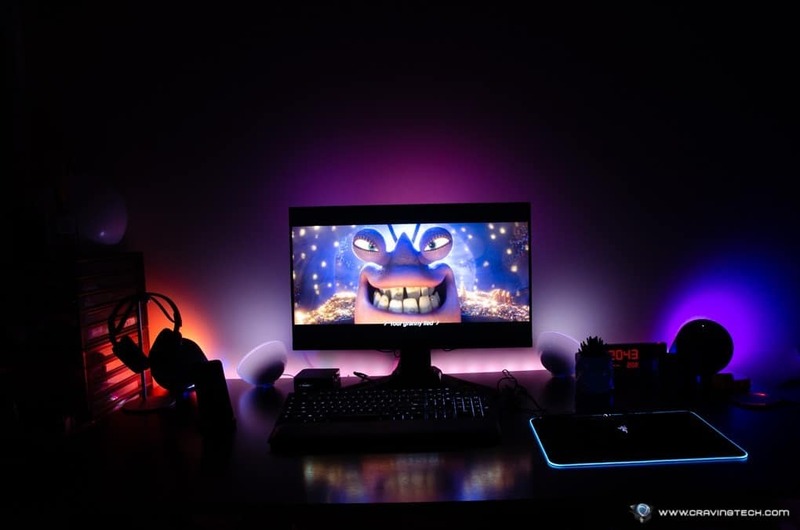 Even when you are just doing desktop work, I really like the idea of seeing my lights syncing perfectly to my desktop wallpaper and if I drag a window around. 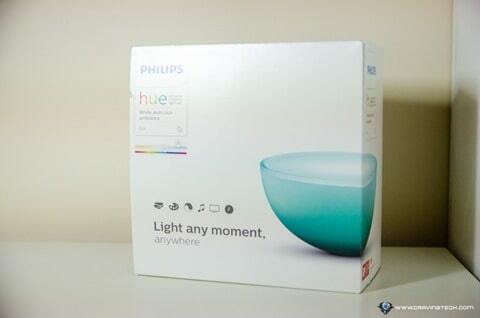 But of course, watching movies or playing games is where Hue Sync actually shines. 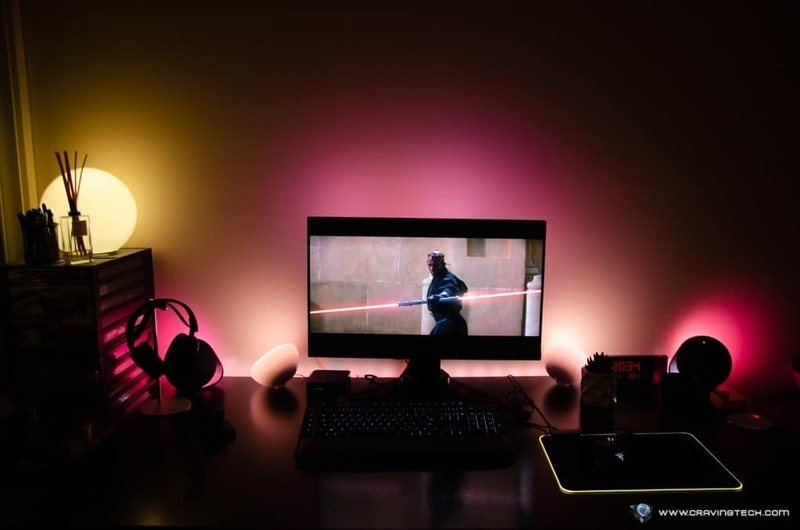 Playing Overwatch and watching a movie in Netflix or a YouTube trailer with all these Hue lights syncing in perfect harmony really boost the immersion further. If Philips is planning to release a new product, I hope it’s a new Lightstrip with multiple zones. At the moment, the Lightstrip and Lightstrip Plus can only output a single colour in the whole strip. 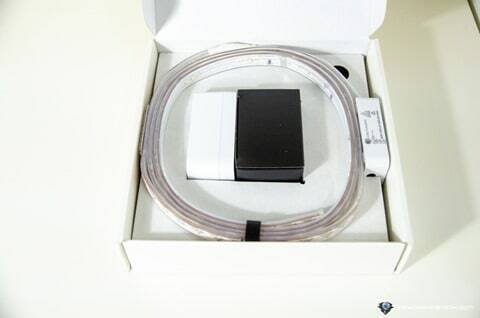 Compared to a Lightpack or Dreamscreen, Philips Lightstrip is inferior when glued to the back of a TV or monitor. Philips Hue Sync takes Philips Hue to the next level from bringing a great mood into a room to now enhancing your movies watching, games playing, and music listening experience significantly. 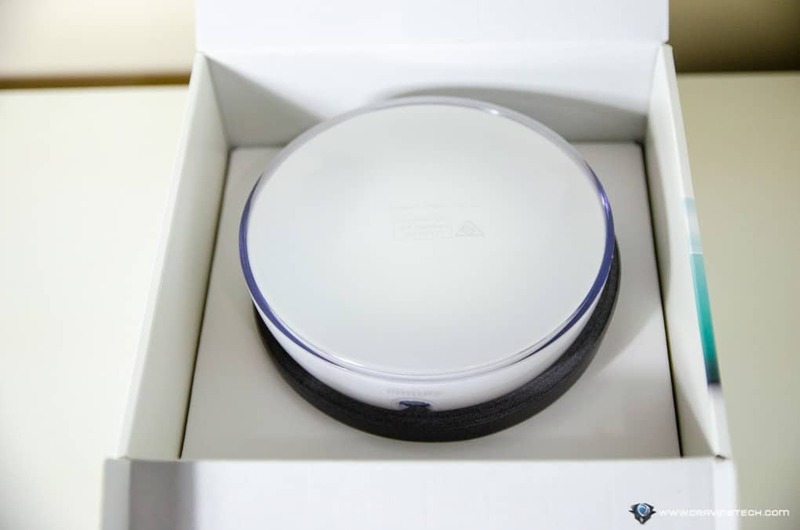 While there were already some attempts by third party developers to make this happen, we’re really happy to see an official app & support coming from Philips officially. And this is definitely just the beginning. With firmware upgrades and app updates, I’m sure we’ll see something even more exciting in the future. Note that I tested Hue Sync on a Windows 10 PC with a 27″ monitor.